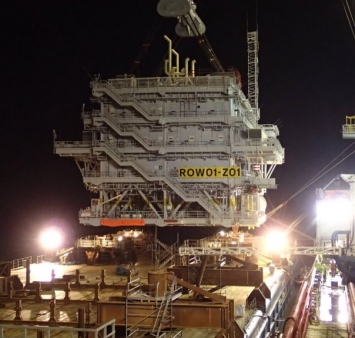 The topside for the second substation at the Race Bank Offshore Wind Farm was installed over the weekend of 25 March. The jacket was installed on 15 March. Iemants and Engie Fabricom were responsible for the construction of both substations. The Race Bank 01 substation left the yard in Hoboken on 5 March and was shipped to the final destination in the United Kingdom. The offshore installation of the first substation took place in August 2016.